To create a plan that documents the needs of Ogden’s Arts and Culture community and provides Ogden City government with direction to build a more robust Arts and Culture sector. Ogden City’s Master Plan for Arts and Culture is not a list of projects – it is a value-based comprehensive overview of the current and future state of Arts and Culture in Ogden. The plan is organized into Goals, Objectives, and Strategies that collectively point towards a collaborative vision. 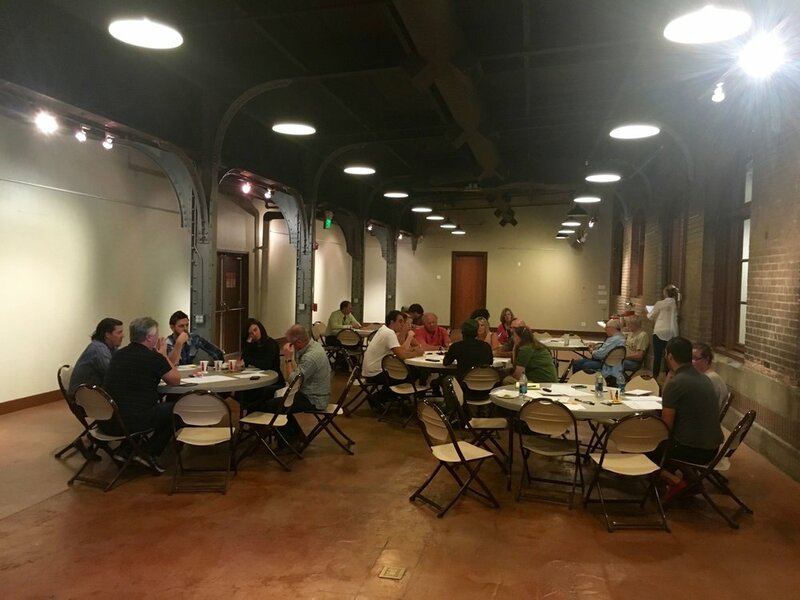 Our mission with this plan was to catalyze a robust creative community in Ogden, help Ogden City government understand the broad value of Arts and Culture, and connect disparate creatives throughout the community. Presented the plan to City Council for final adoption. In February 2017 Ogden City Council unanimously adopted the Master Plan for Arts and Culture. Union Creative Agency led the 18-month creation of this plan through a stakeholder-centered design and strategic planning process. Ogden City’s Master Plan for Arts and Culture is a thoughtful, strategic, and practical road map designed to help city government facilitate the growth and expansion of a vibrant community. Since adoption, the Ogden City Master Plan for Arts and Culture is now regularly used by many departments within city government and by partnering organizations. The plan has guided the development of Ogden’s Nine Rails Creative District, several public art projects, private development initiatives and Ogden City’s Arts grants program.